Books on this list are behind the scenes stories – dramatic, scandalous, and back-stabbing – and teach you a bit about business along the way. Most importantly, I got a much better understanding of what caused the 2008 financial crisis (which I wasn’t getting by following the news) by reading a couple books on this list. And don’t worry – not all “business” books (and certainly none on this list!) are dry and boring. 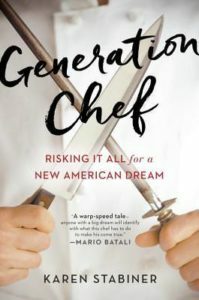 Plot Summary: Journalist Karen Stabiner follows young chef Jonah Miller as he opens his first New York City restaurant, the East Village Spanish spot, Huertas. My Thoughts: Who would have thought a book about the European debt crisis could be funny? Lewis’ social commentary on how each country’s culture brought about its downfall is hilarious and makes Boomerang appealing even to those who aren’t remotely interested in finance. Boomerang entertained me from start to finish, but also left me more educated in the end. Summary: The behind the scenes story of Michael Eisner’s CEO tenure at Disney. My Thoughts: I read Stewart’s Den of Thieves, one of the most well-known business books out there, and thought it was dry and tedious (which is why it’s not on this list). DisneyWar is, however, far from dry. Eisner is certainly an outsized and multifaceted personality. And, his long running feuds with Roy Disney, Jeffrey Katzenberg, and Michael Ovitz provide excellent material for Stewart to make this interesting. I also learned how Eisner engineered some massive successes for Disney, as well as contributed to the crumbling of its creative culture. It seems life at Disney was not exactly a fairytale! Summary: The inside story of the AOL-Time Warner merger and its two central figures, Steve Case and Jerry Levin. My Thoughts: As we all know now, this deal failed miserably and Munk tries to investigate why. A central theme Munk covers is the personalities of Case and Levin – both of whom she describes as “the two oddest men to ever run billion-dollar empires”. She also makes the case that Levin essentially orchestrated the deal behind the backs of almost all the Time Warner executives. And, interestingly, due diligence for the deal was done over a mere three days…sound familiar (i.e. 2008 financial crisis mergers)?? Plot Summary: The story of a group of people, led by Brad Katsuyama (a Royal Bank of Canada trader), who uncovered the recent “rigging” of the U.S. stock market by high-frequency traders. 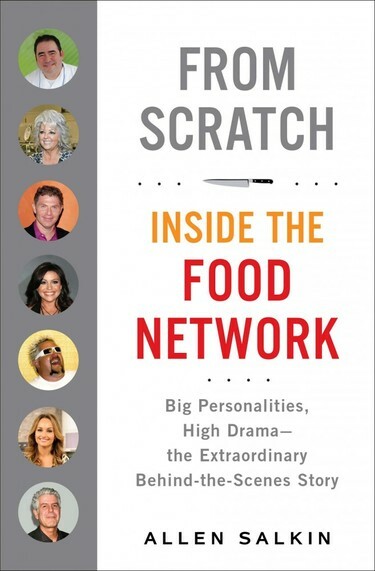 Summary: The behind the scenes story of the Food Network from inception in the early 1990′s through present day – including details about its stars (Emeril Lagasse, Bobby Flay, Mario Batali, Racheal Ray, Paula Deen, etc). Summary: Amid the 2005 mortgage bubble, thirty-five year old Bear Stearns bond trader, Nick Farmer, faces disillusionment with his career decision, personal life, and strategy decisions at Bear. My Thoughts: My in-laws were the first people to tell me I should read this book and I was a little skeptical because I’d read so many “Wall Street excess tell-alls” that they had started to run together in my head and ceased to be interesting. There’s only so many times you can read about money, drunkenness, cocaine, and hookers before it becomes a bit repetitive. But, this book was different…in a good way! First, it’s fiction and the author was not a Wall Street trader, so it’s technically not a “roman a clef” about his real experience. But, obviously the setting and characters are based on what Wall Street was generally like in the middle of the mortgage bubble. Second, Brunt’s observations about the social hierarchy in the banking/trading/finance world and the situations and characters you encounter there are witty, spot-on, and well said. I would go so far as to say that Brunt comes close to Tom Wolfe territory with his social commentary. Though Brunt does include his fair share of partying, drugs, and prostitutes, it’s the social commentary and his PERFECT analogies that were the most entertaining for me. Nick is also having an inner struggle with his career choice and the effects of that lifestyle on his marriage, which gives the novel more depth than your average Wall Street excess tell-all and makes Nick a more sympathetic character. Finally, this book deals with a theme that a lot of people my age (35, like Nick) are confronting. What happens when you choose a career right out of college, without knowing much about what that career really entails, and thinking you may do that job for a couple years before moving on, then wake up fifteen years later still doing this thing that you never intended to be your life’s work? How do you make a change at age thirty five when many people have families to support and how do you figure out what you really want to do with your life? These are difficult and relatable questions and Nick goes through the range of emotions and thought processes as he’s working this out. 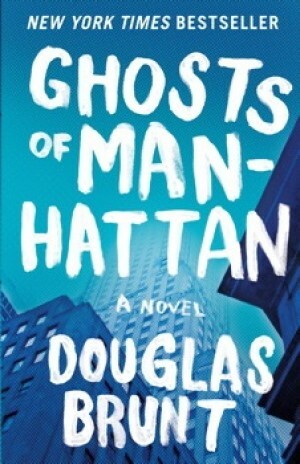 Ghosts of Manhattan successfully crosses the Wall Street excess tell-all and the Tom Wolfe-style social satire for a great summer read…particularly for guys. Summary: The story of the 2008 collapse of Bear Stearns. My Thoughts: This is the definitive story of the first domino to fall in the 2008 financial collapse – and focuses on the final weeks leading up to Bear’s sale to JP Morgan. On Wall Street, Bear was known for its rough and tumble culture and Cohan illustrates how this (among other things) contributed to its downfall. Jimmy Cayne, Bear’s final CEO, provides much of House of Cards‘ comic relief and anecdotal material. Cohan provides a window into the U.S. government’s previously unprecedented (but soon to become normal) level of involvement in a private sector merger negotiation. And, as became commonplace in many books on the 2008 financial crisis, you can expect a heavy dose of backstabbing and drama among the key players. Summary: A compilation of notable financial writers’ commentary on five recent financial crises, supplemented by Lewis’ perspective. My Thoughts: I have to warn Michael Lewis fans – this book is mostly articles by other writers – so don’t go into it expecting a big dose of Lewis (but, he does share his thoughts on each of the five financial events). However, it is a very interesting collection of articles showing different perspectives on five important financial events (1987 stock market crash, collapse of Long Term Capital Management, Asian currency crisis, Internet bubble/bust, and the 2008 financial collapse). The most interesting part of this book is seeing what the “experts” thought about each event as it was happening and comparing it with the prevailing view of the event now. It’s also fascinating to see the similarities in the five financial events – it reminds me that we all have incredibly short memories. Summary: A behind the scenes look at four top 1990’s CEOs’ personal (and occasionally professional) lives: Jack Welch (GE), Ron Perelman (Revlon), “Chainsaw” Al Dunlap (Sunbeam), and Dennis Kozlowski (Tyco). My Thoughts: Byron was a columnist for the NY Post and most of this book feels like it could have appeared on Page Six – which obviously makes it awesome! And, the fact that the star CEOs had their heydays 15 years ago does not make this any less enjoyable. Testosterone, Inc. also covers the rise of the “celebrity” CEO, old news now, but a relatively new phenomenon when this was written. Summary: The definitive book about the overall 2008 financial crisis. My Thoughts: There have been many books written about the financial crisis, but I thought this was the one that best covered the overall scenario during the most critical months in the fall of 2008. Like Michael Lewis, Sorkin excels at explaining confusing financial concepts more clearly than most financial journalists. Sorkin includes every Wall Street domino that fell (and those that managed to stay standing), AIG, and critical government players (Geithner, Paulson, Chris Cox, and Sheila Bair). He does a fantastic job of taking the reader inside that boardroom at the New York Fed where the secret meeting between all the big bank heads took place and conveying the lightening speed at which deals were getting made and falling through. Sorkin does not get into the detailed “why” of the financial crisis – The Big Short by Michael Lewis is the book to read on that question – but, he manages to make everything that happened once the dominoes start teetering thrilling reading. Summary: The story of the rise and fall of the “big four” Texas oil fortunes: H.L. Hunt, Clint Murchison, Roy Cullen, and Sid Richardson (Sid Bass’ uncle). My Thoughts: The first 50 pages or so are heavy on the history of the oil industry – but, once you get past that, TBR is juicy! These families are scandalous (H.L. Hunt was a bigamist his whole life) and eccentric, which makes for great anecdotes. They also become heavily involved in politics and attempt to transfer the central White House influence from the Northeast to Texas – with humorous result. Summary: Lewis explains how and why the housing bubble and burst happened by focusing on the mentality of the few people (one of whom suffers from Asberger’s Syndrome) who saw it coming and acted on their instincts. My Thoughts: Lewis is the master of making complex financial concepts relatively understandable AND making them entertaining. TGS is the best book out there on the housing bubble and should be required reading for anyone interested in business. But, Lewis even makes this a compelling story for those not interested in business through his focus on the personalities that saw it coming. Summary: The story of the fall 2008 collapse of Lehman Brothers, focusing on the firm’s culture and characters that contributed to its demise. My Thoughts: While TDC does cover the financial details of how Lehman failed, it’s Ward’s portrayal of Lehman’s culture of infighting and backstabbing that makes it a fun read. The central characters’ personalities (i.e. excessive risk-taking behavior – inside and outside of work) and relationships with each other provide for constant drama – with a bit of financial education on the side. Summary: Lewis’ take on the explosion of Internet entrepreneurs as exhibited by Jim Clark, founder of Silicon Graphics, Netscape, and Healtheon. My Thoughts: Though this book was written in 2001, I read it this year (2012) and still found it fascinating, entertaining, and absolutely relevant. Lewis, as always, does a great job of clearly describing the financial side of founding an Internet business (and turning it into a billion dollars of personal wealth) in the bubble era and makes it entertaining with his incredulous, sarcastic tone. But what really elevates the entertainment level of this book is Jim Clark himself – this guy is completely over the top (i.e. after founding his three companies, his life’s work is building a yacht that can sail across the Atlantic solely by computer) and has a huge personality. TNNT is a nice break from the 2008 financial crisis and the housing bubble that have overtaken the Internet bubble in America’s financial consciousness. My Thoughts: I expected TGHATF to be a sports book full of stories about games and celebrity athletes. And, it does deliver on that count. The quotes from ESPN insiders and sports world figures were surprisingly (shockingly, at times) candid. What pleasantly surprised me was the focus on how the company was founded and built into a successful enterprise – I learned a lot and it gave TGHATF a depth beyond just sports. I consider this one a business book, too.